Human life depends on the earth. Plant life provides 80 percent of our human diet, and we rely on agriculture as an important economic resource and means of development. Forests account for 30 percent of the Earth’s surface, providing vital habitats for millions of species and important sources for clean air and water; as well as being crucial for combating climate change. Despite its importance to our sustenance and livelihoods, we are seeing unprecedented land degradation, and the loss of arable land at 30 to 35 times the historical rate. Drought and desertification is also on the rise each year, amounting to the loss of 12 million hectares and affecting poor communities globally. 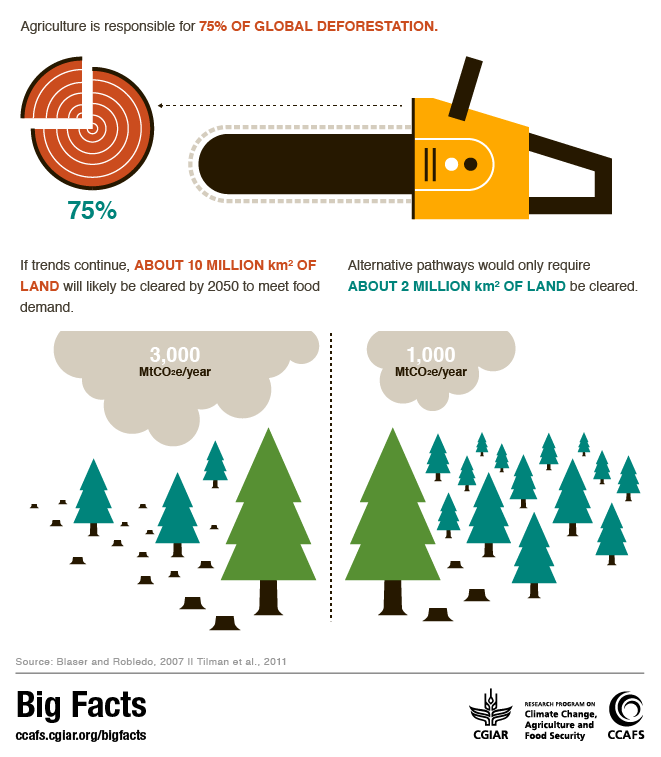 Halting deforestation is vital to mitigating the impact of climate change. Urgent action must be taken to reduce the loss of natural habitats and biodiversity, which are part of our common heritage. CIAT aims to conserve and restore the use of terrestrial ecosystems such as forests, wetlands, drylands and mountains – improving the productive resilience of the land by returning ‘functionality’ to degraded landscapes, such as their ability to withstand disturbance, control erosion, shelter biodiversity and provide food, water and energy. Determining, from an ecological standpoint, the ideal functional use system to take ecosystems from the degraded state back to a certain level of functioning to help farmers, communities, and countries achieve their objectives. CIAT also leads the flagship program on Restoring Degraded Landscapes (RDL) as part of the CGIAR Research Program on Water, Land and Ecosystems (WLE), which aims to support governments and people to restore degraded landscapes by enhancing ecosystem services – food, energy, clean water, income, livelihood, among many others – and contributing to vibrant agroecosystems. More specifically, RDL works on landscape and soil restoration and soil carbon restoration, assessment, and monitoring. The flagship program is implemented in partnership with ICRAF, IFPRI, Bioversity International, and ICARDA, and currently targets six focus countries: Ethiopia, Kenya, Tanzania, Ghana, Colombia, and Peru. According to the Food and Agriculture Organization (FAO), integrated land-use planning involves the allocation of land to different uses across a landscape in a way that balances economic, social and environmental values. Its purpose is to identify, in a given landscape, the combination of land uses that is best able to meet the needs of stakeholders while safeguarding resources for the future. Initiative 20×20 is a country-led effort to bring 20 million hectares of land in Latin America and the Caribbean into restoration by 2020. The initiative—launched formally at the 20th session of the Conference of the Parties (COP20) to the United Nations Framework Convention on Climate Change (UNFCCC) in Lima—will support the Bonn Challenge, a global commitment to restore 150 million hectares of land around the world by 2020. AFR100 is a country-led effort to bring 100 million hectares of land in Africa into restoration by 2030. The initiative—launched formally at the 21st session of the Conference of the Parties (COP21) to the United Nations Framework Convention on Climate Change (UNFCCC) in Paris— will support the Bonn Challenge, a global commitment to restore 150 million hectares of land around the world by 2020, the New York Declaration on Forests that builds on and extends the Bonn Challenge to 350 million hectares by 2030 and the African Resilient Landscapes Initiative (ARLI), an initiative to promote integrated landscape management with the goal of adapting to and mitigating climate change. CIAT is a founding member of the Global Landscape Forum (GLF) and has been an organizing partner in several of the fora. The Center contributes 40+ years in soil and fertility research to the world’s largest and only science-led multi-sectoral platform designed to produce and disseminate knowledge and accelerate action to build more resilient, climate-friendly, diverse, equitable, and productive landscapes. 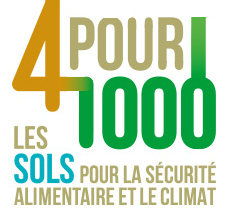 The 4‰ Initiative: Soils for food security and climate was launched by France as part of the Lima-Paris Action Agenda. The CGIAR and French Institutes (INRA, CIRAD, and IRD) signed an MoU for a 5-year program at the end of 2015 to mitigate climate change through soil carbon sequestration in at least five countries. The International Center for Tropical Agriculture (CIAT) will be instrumental in this program. 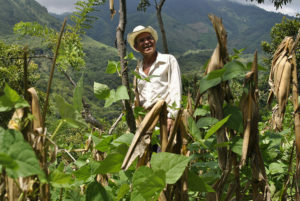 Since the 1990’s, CIAT and partners have promoted, adapted, and investigated the Quesungual systems in Honduras, El Salvador, and Nicaragua, using participatory approaches and on-farm experimentation involving small-scale farmers, technicians, and local and national government institutes. The Quesungual agroforestry system enables farmers in the Dry Corridor of Central America to maintain or increase maize and bean yields, while improving ecosystem resiliency and ecosystem services. This system focuses on the restoration of soils and tree cover on hillsides, based on farmer-managed regeneration of native trees. Farmer-to-farmer information sharing has shown to be a key factor for outscaling of the system across countries and within communities. 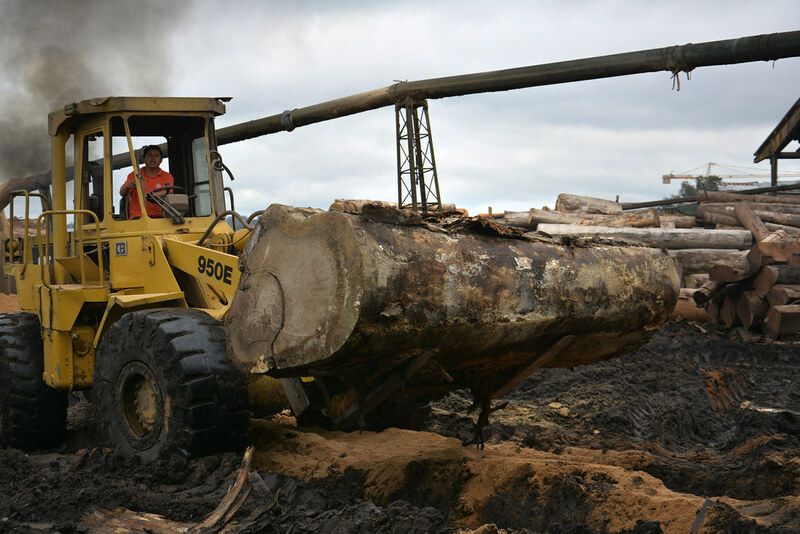 In Colombia, CIAT’s Terra-i revealed massive deforestation that had doubled in five years – twice the official rates being used by the government at the time. This information was used by the Colombian government to change its official deforestation estimates and set new targets to tackle deforestation. In Peru, Terra-i is being used by the Ministry of Environment as the official early-warning system for land cover and land-use change, producing a monthly update or alert system and pin-pointing deforestation hotspots. 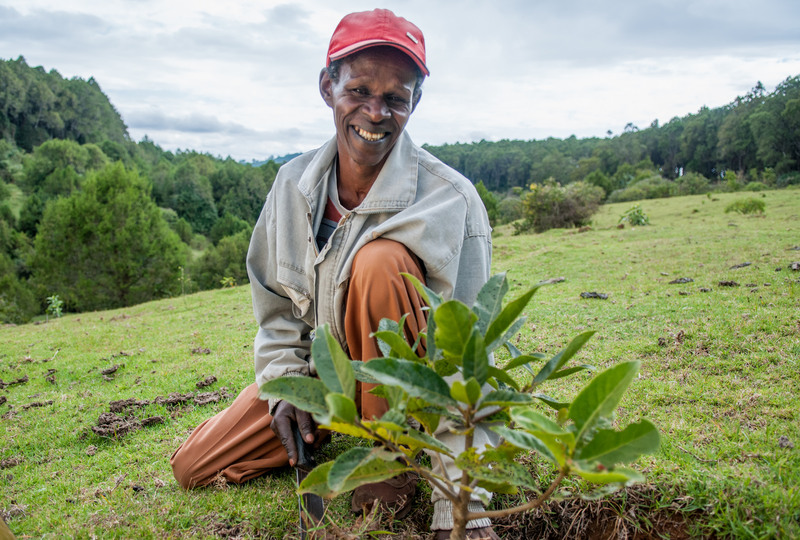 In March 2015, for the first time in Africa, The Nature Conservancy (TNC) and partners – including CIAT – launched the Tana-Nairobi Water Fund, a public-private scheme uniting big business, utilities, conservation groups, government, researchers and farmers. It aims to increase farm productivity upstream, while improving water supply and cutting costs of hydropower and clean water for users downstream, and is designed to generate US$21.5 million in long-term benefits to Kenyan citizens, including farmers and businesses. Terra-i has attracted over 1,000 registered users from 45 countries. Digital mapping of soil properties in the West of Honduras, Central America.